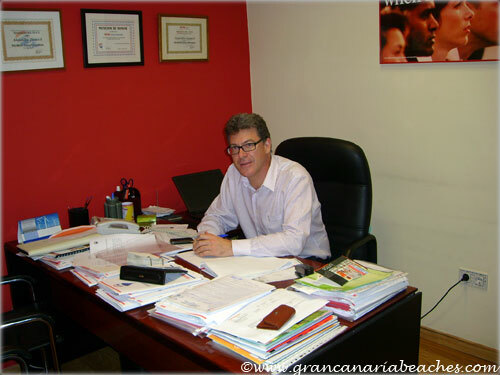 Alejandro Zwanck opened his Gran Canaria real estate office back in 1995. 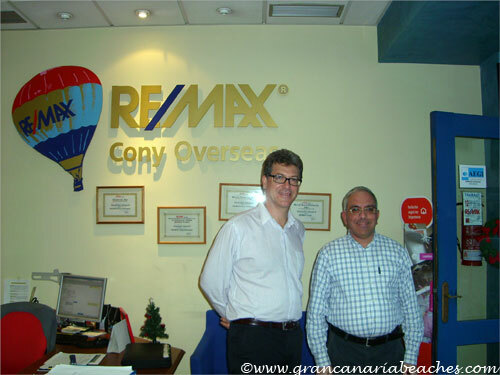 Cony Overseas is part of the RE/MAX franchise, and is the first RE/MAX to open in Europe, that is still operating. His team is made up of 18 highly motivated and dynamic realtors. Whenever I visit them, they are always running around and on the go. They have undergone a screening process and have to abide by a code of conduct. Most of them have been rewarded by RE/MAX Spain as top realtors, for whole Spain. Because of their professional standards, Alejandro and his team have survived where dozens of other agencies have had to shut down. - Sale of property and management of tenants. They sell you the house, rent out the property, and manage the tenants for you. This is an alternative investment in property. For example, if you buy a house for 60,000 euros and rent it out for 450 euros , that's a 9% return on investment. You might have to spend a little on renovating it; the average return is something around 6-7%, but it's still a good return. To check out some great houses in Gran Canaria, click here. Above is a picture of Alejandro and me taken in his office.